As we’ve pointed out in the past, music videos can be anything from basic lip syncing and fish eye lenses to something much more creative. 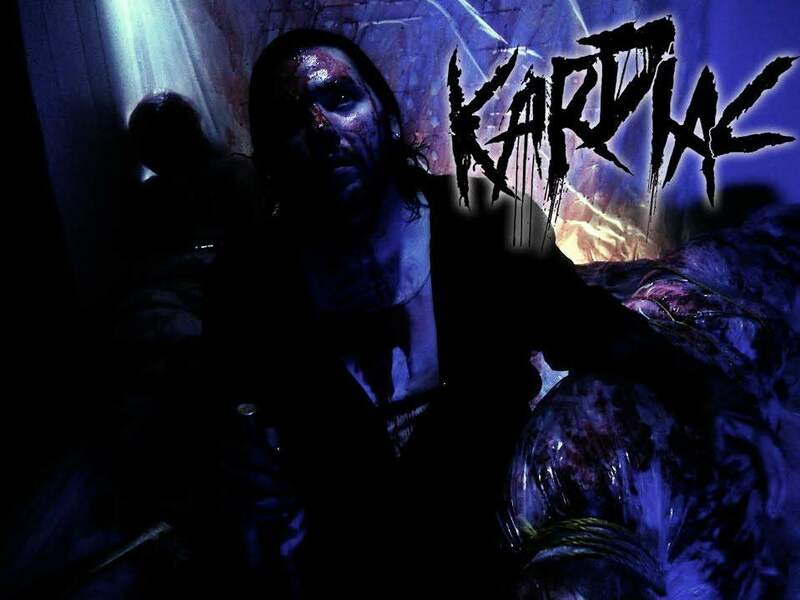 New York underground horrorcore rapper Kardiac is set to blur the lines even further between music video and short film with his DVD release of The Country Road Cover Up, a horror short written by the rapper himself and inspired by a track off of his Gifts of Blood 2 release. The story of a deeply troubled man seeing things that may not be there and being overly protective of his own farmland, The Country Road Cover Up is described as dark, gory, and bizarre. This is recommended for fans of movies like High Tension and The Texas Chain Saw Massacre. Currently working on his sixth studio album, Kardiac is involved in every aspect of his music from the beats to the artwork. Given the movies mentioned in the description of his film, you can expect lyrics that are dark, violent, and brutal. I could compare his content to musicians like Necro or Movies For the Blind era Cage, but his industrial sounding beats do a lot to set him apart from the crowd. His sound actually has more in common with the score to A Serbian Film than more standard hip hop instrumentals. This gives him a darker edge than many of his horrorcore peers who sadly too often end up more braggadocious or tongue in cheek. The Country Road Cover Up is currently available on DVD through his store, and you can see the trailer below, as well as his video for the track, “It’s Hard to Keep a Secret.” You can hear more at his website here or his bandcamp here.